The campaign, run by Myfanwy Townsend Melanoma Research Fund aimed to raise awareness among customers about the importance of wearing sun protection when gardening. 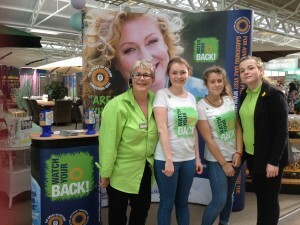 In June and July, representatives from the charity visited Haskins Garden Centres and advised customers on best use of sun protection, how to check their skin, as well as giving out SPF50 in return for a donation to the charity. Donations from the event went directly to The Royal Marsden Cancer Charity to benefit melanoma research. 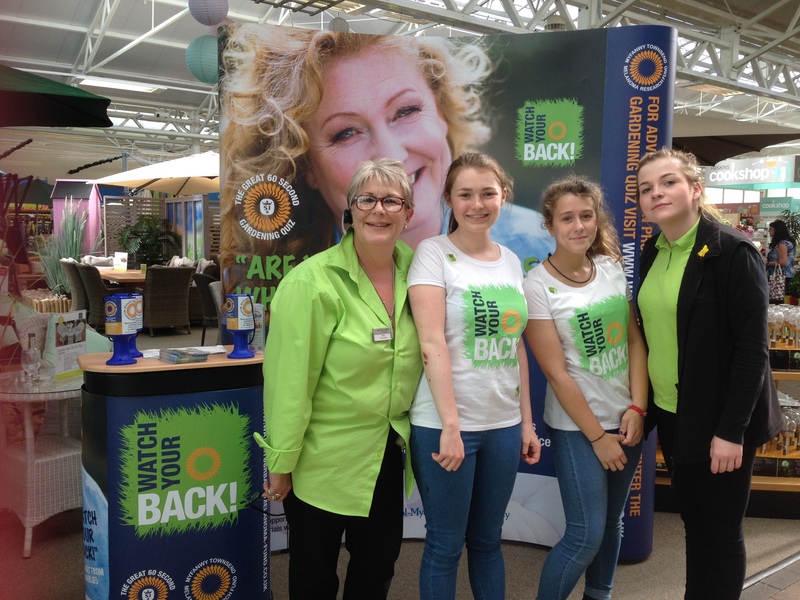 ‘Watch your back!’ was officially launched by Charlie Dimmock and supported by Alan Titchmarsh, the Garden Centre Association, the Professional Gardeners Guild and the National Allotment Association. Harry Townsend, Founder of The Royal Marsden Cancer Charity, commented, “On behalf of myself and the team, I would like to say a big thank you to all those who donated and helped raise money for a very worthwhile cause. I would also like to thank all Haskins staff who helped facilitate the events and for going above the call of duty to welcome us into each store”.